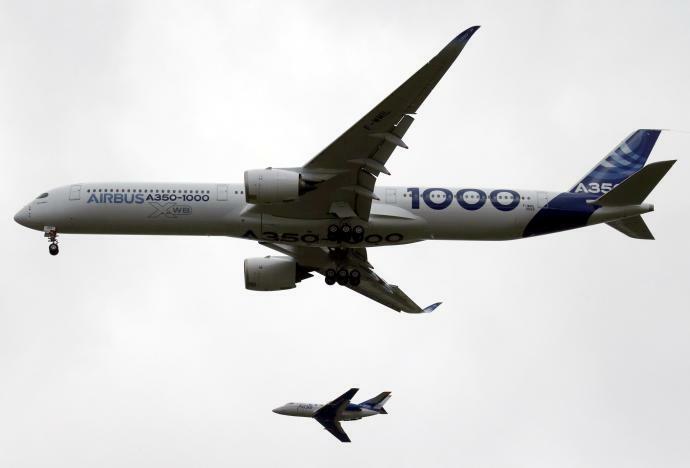 Airbus' largest A350 jet, A350-1000, flew on its maiden flight on Thursday, reports said. The A350-1000 is also Europe's largest twin-engine passenger jet with a seating capacity of 40 more than existing A350s which have around 320 seats. The 366-seater is reportedly designed to compete with Boeing in the mini-jumbo segment, typically involving large twin-engine jets carrying 350 people.